SOMETHING, NOTHING, AND YET... EVERYTHING: WHAT'S ON YOUR READING LIST? Been meaning to read The Tao of Pooh, Te of Piglet for the longest time now; finally got myself a copy and have made (very small, as of now) inroads into it. Good reading. 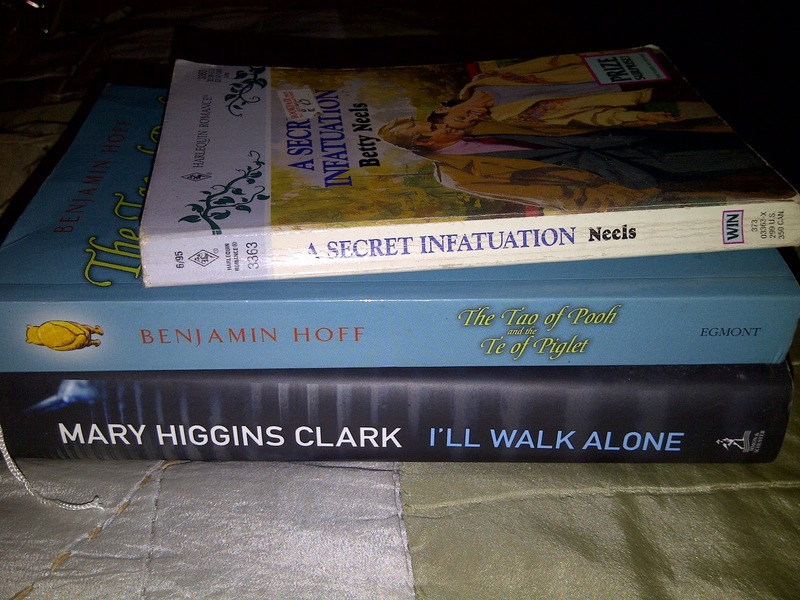 Of course, books by Betty Neels and Mary Higgins Clark are my all-time favourites, so I'm invariably re-reading (sometimes, even re-re-reading) some of their books - which is the case right now, too. Buwahahaha..............................SIL lies in waiting for that book- tao of pooh!! !